We would like to haply introduce you to our Chichi painter, painter#59, José Verkerk. She spends her childhood between Aruba and Curacao, and loved it all lot! José has always adored kids and decided to become a teacher! 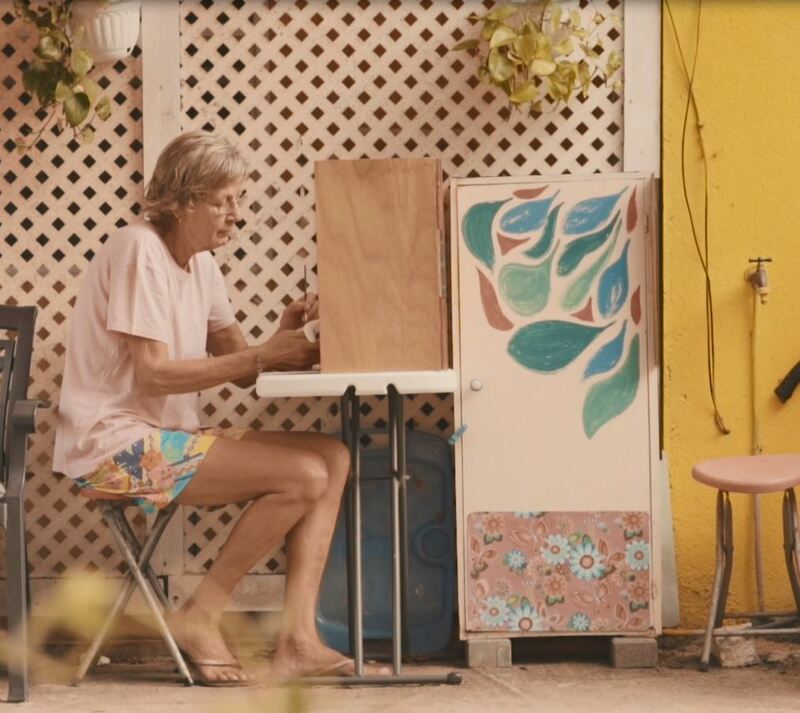 She was a teacher for almost 15 years on Curacao, but then she retired since 2017. She started painting Chichi’s since 2018. In the beginning she had to get used to the methods and letting her Chichi’s go, but now she feels relaxed painting them and its going really well! José loves to paint outside in her yard. She usually paints flowers and leaves. When feeling less inspired she can always turn to her 6 year old niece who gives her fun ideas and advice, she loves it! José always takes pictures of her work and prints them, to remind her on how far she got or even for more inspirations! She usually delivers her Chichi’s every two weeks due to her living far away. Thanks for all your amazing work José!